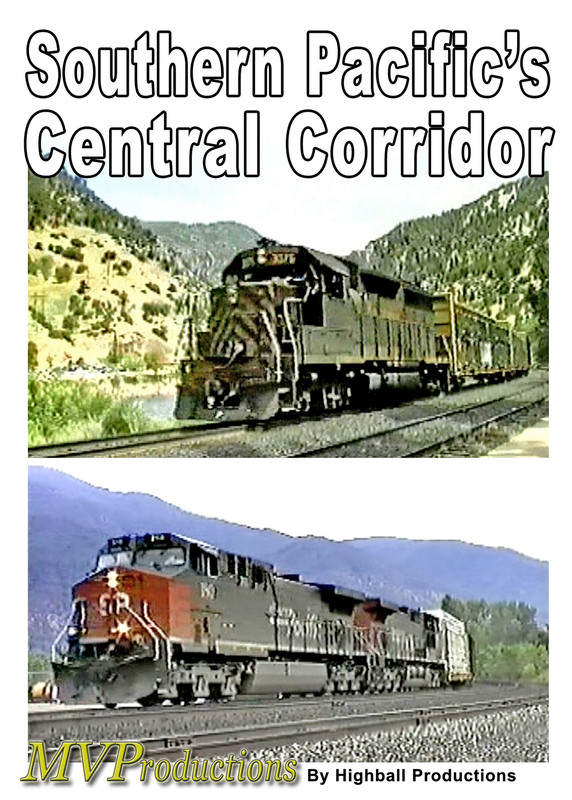 We'll see pre-merger Southern Pacific on the Central Corridor in Colorado and the SPCSL (SP Chicago St. Louis) into Chicago. Together these lines funnel a lot of traffic over the mountains and plains into Chicago. Over SP 50 trains are seen! 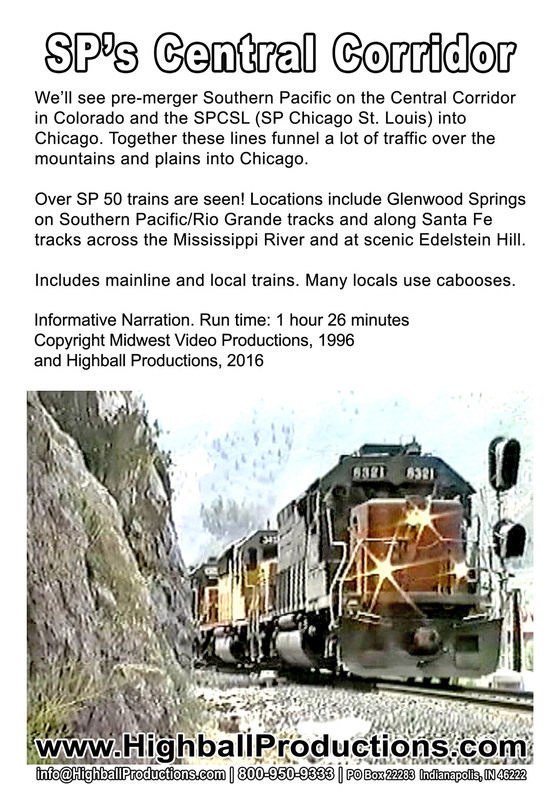 Locations include Glenwood Springs on Southern Pacific/Rio Grande tracks and along Santa Fe tracks across the Mississippi River and at scenic Edelstein Hill. Includes mainline and local trains. Many locals use cabooses.